Your shorts were pretty good to you this summer. Your Bermudas, your seersuckers, your... well, anyway, it’s time to wear pants, jackets and sweaters. You get it. To give you a hand, we scouted local stores to cover you for a few choice autumnal occasions. Socks are still on you. Beers at this, our preeminent local beer festival: 250. Hours in which to sample them: 5. Feet you possess to get from station to station: 2. 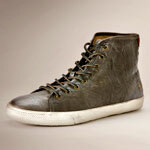 Enter these sturdy, antiqued brown leather kicks from the famous bootmakers. Just break them in first. 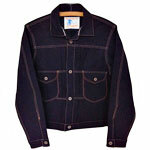 This is the kind of rugged, ultracasual jacket made for fall nights—warm enough for outside, cool enough for inside. When you may be going to our homegrown comedy festival. Yes, it’s got a couple large pockets in front. For your throwing tomatoes. Or... your hands. You’ve got your tickets for Game 7, right? Good. And you’ve got a hoodie that’s as warm as a parka. Well, now you do anyway. 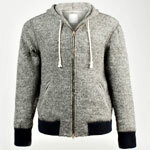 This one at Billy Reid, made from fleece wool and alpaca. Parkas are for football games. Campfires. S’mores. Grog. Sometimes they just don’t cut it. 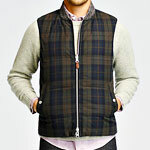 The solution: this down-filled nylon vest, which reverses from a simple muted gray to a much bolder green-and-brown plaid. Which is like camouflage. If you’re in a plaid forest. 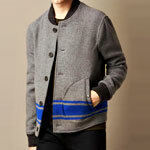 You’ll take the campus store and go one better: this wool bomber jacket at the new Burberry shop downtown that’ll have you channeling that Hoya spirit of the 1920s. When they could really fill up a peach basket.